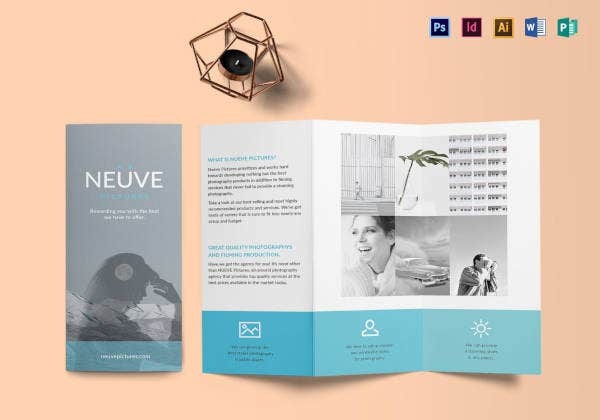 A well-designed, innovative brochure serves as a great portfolio crafted for a business by designers, photographers and artists showcasing the mettle of a company and its line of products and services. 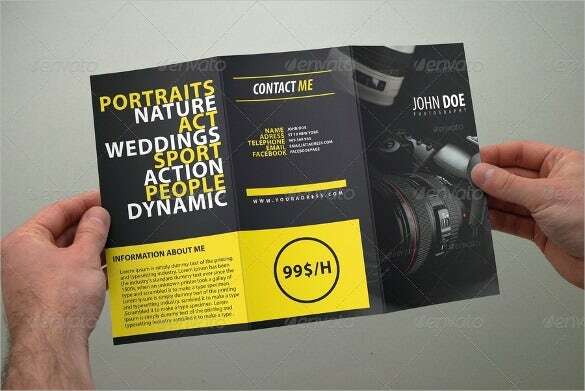 Similarly, in the case of photographers who want to exhibit their skills to the world and get customers and clients, one of the best ways to get around in public is by distributing copies of a Photography Brochure containing a brief of their works, skill set and other services. 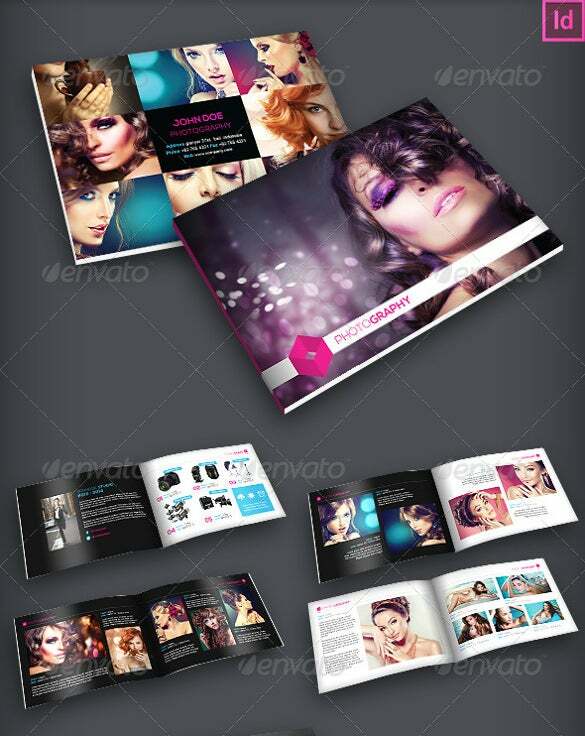 you can see also free brochure templates. 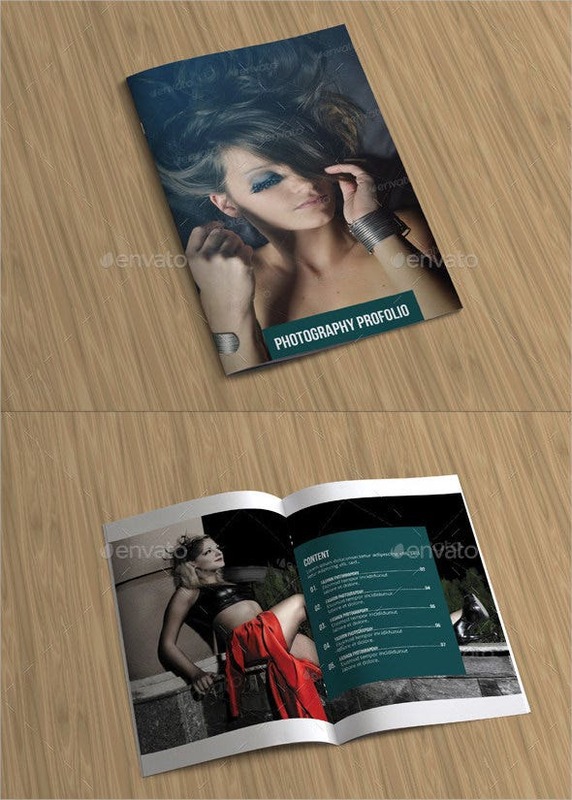 Of late, brochures have become the best marketing tool for established and novice photographers. 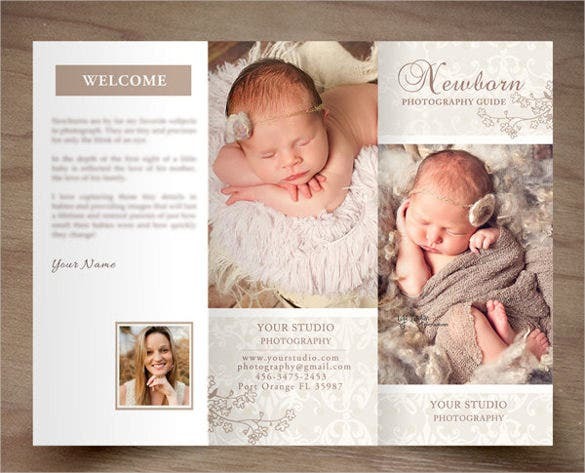 If you’re a lensman in the making then a Photography Brochure is a must giveaway for you, which you can handout in events, marketing and promotional gigs. 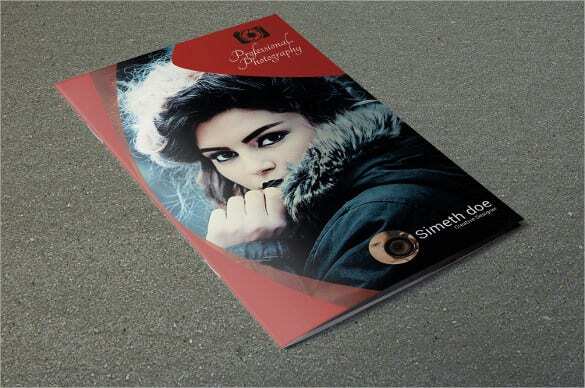 A well crafted photography brochure goes a long way in setting up your base as a professional to be reckoned with in the market. 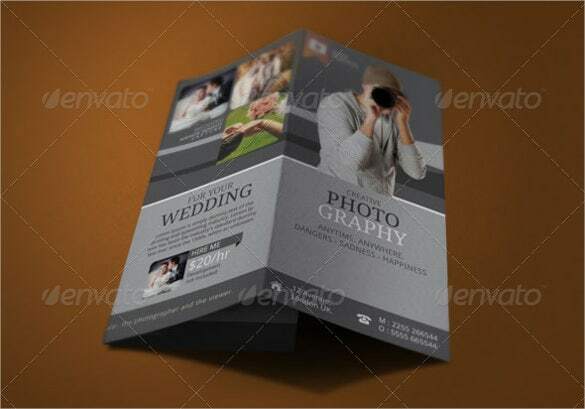 You can see also Advertise brochure templates. 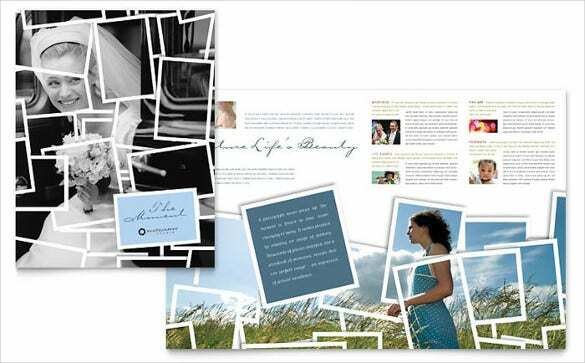 Photography templates are useful across different industries, because photographers specialize in different types of photography. Each type of template is as distinct as it purpose and the market it caters to. 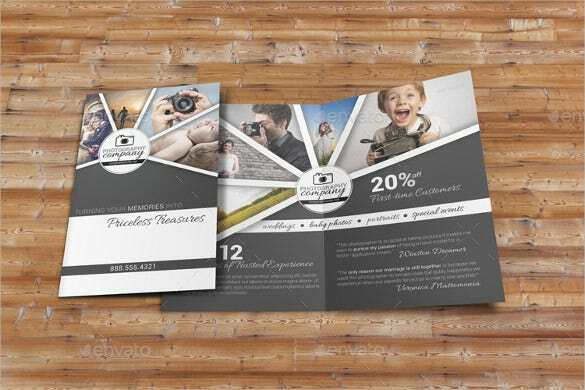 Some of the most popular types of templates are listed below: Generic Photography Template: This template is useful for novice photographers who are just starting out and do not have a target industry set. 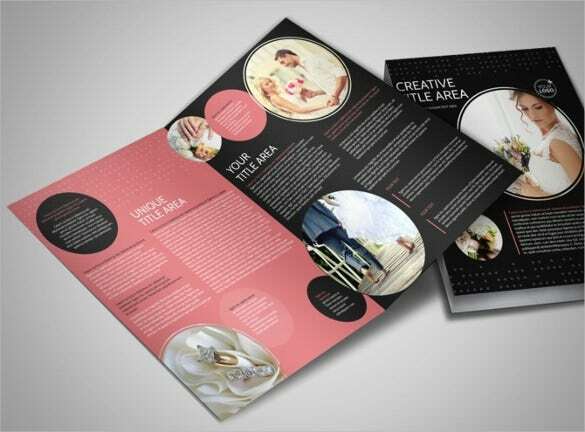 You could spread some of your best works in the brochure and also mention details about your strong points and specialties. 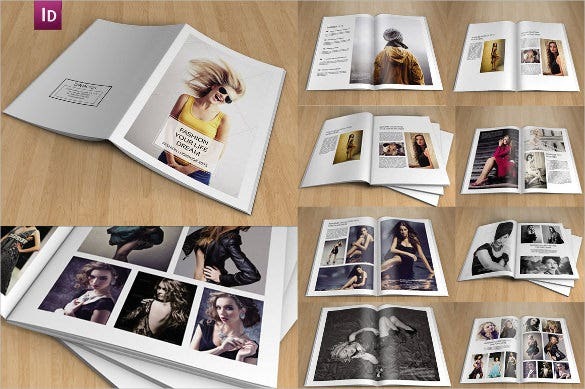 Fashion Photography Brochure: This template is handy for all of the photographers specializing in the field of fashion photography – including pictures from photo shoots with models, ramp shows, advertising, etc. 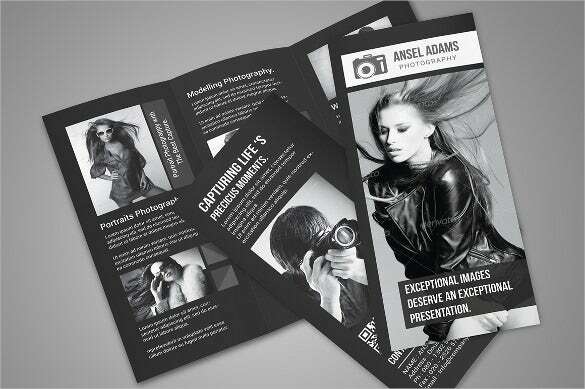 You could showcase names of brands or models you’ve worked with alongside pictures, to increase your market credibility. 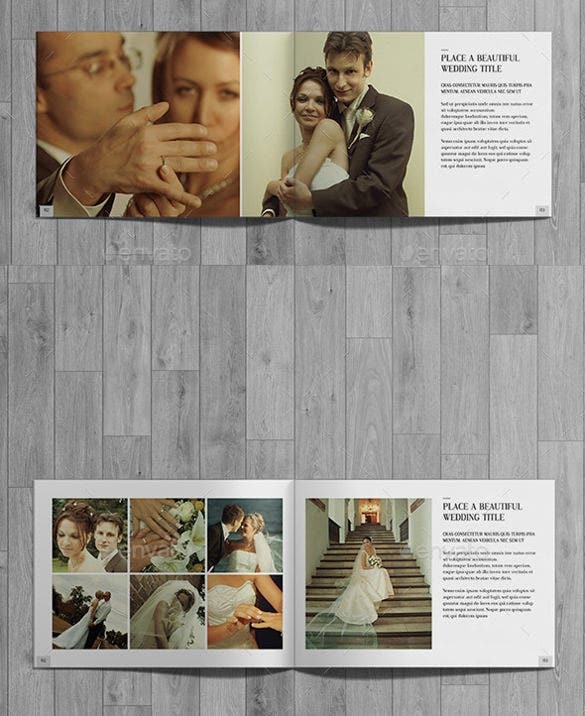 You can see also half fold brochure templates. 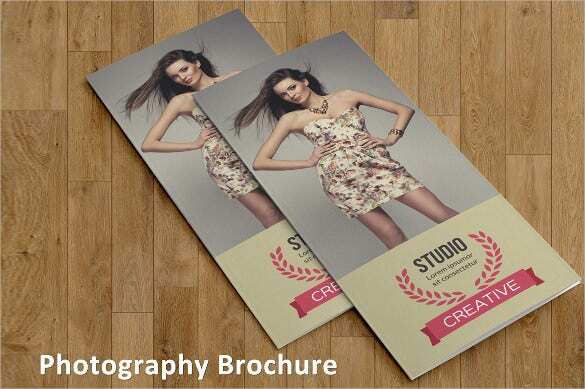 Studio Photography Brochure: If you’re an owner of a studio where you call in models and do photo shoots with them, then this template is very useful for you. 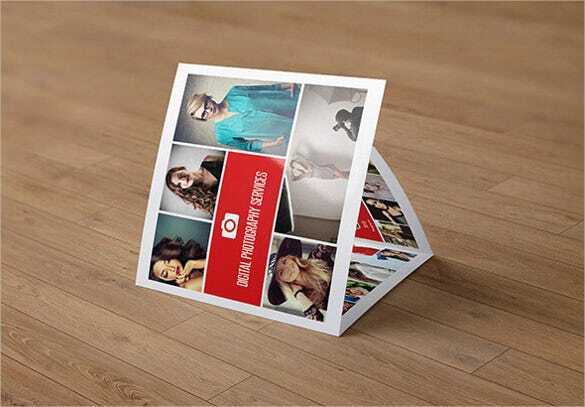 Commercial or Residential Photography Brochure: For a photography who is involved in taking shots of either residential or commercial spaces, then this particular template is a perfect fit for the purpose. 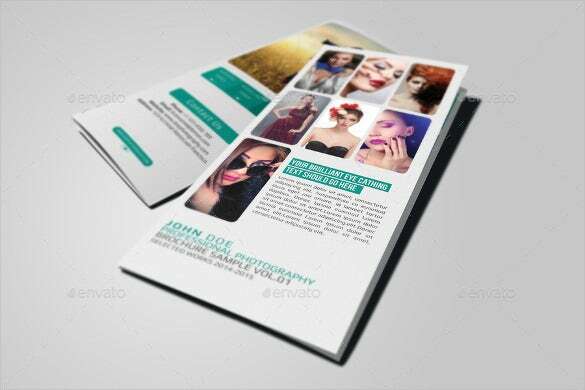 Events Photography Template: Are you in events photography looking for a brochure template to put all of your best shots in? 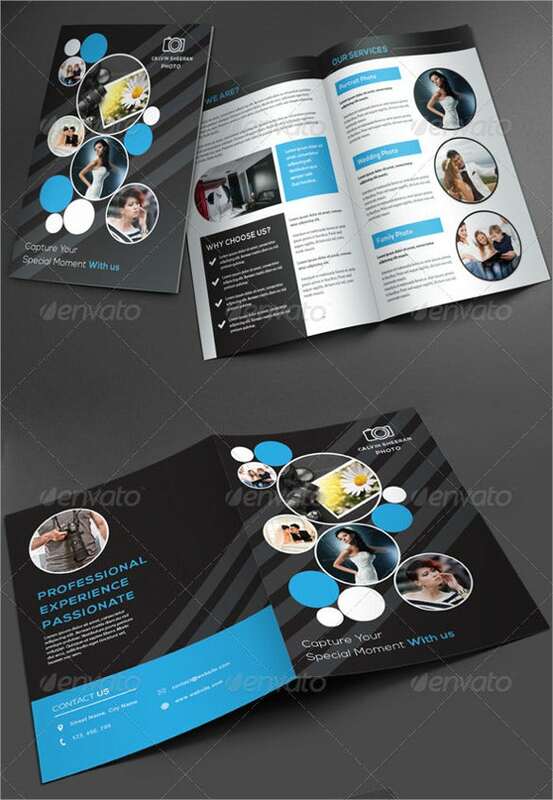 Then this template is the best choice and will let you put in your skills and talents in the most artistic way. 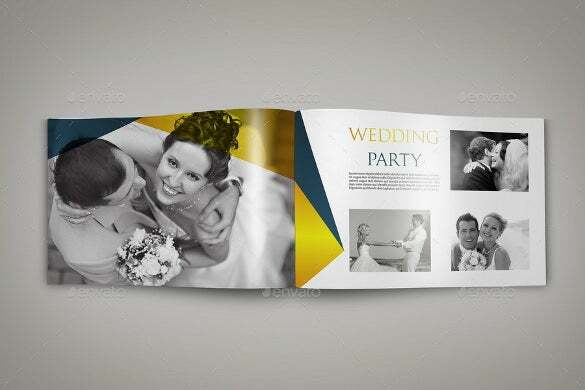 Wedding Photography Brochure: This template is a great place for all of your best samples as a wedding photographer. 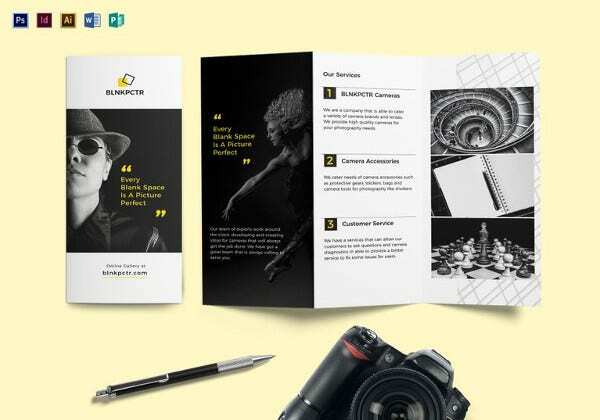 You can compile your best works and customize the brochure template as you wish. 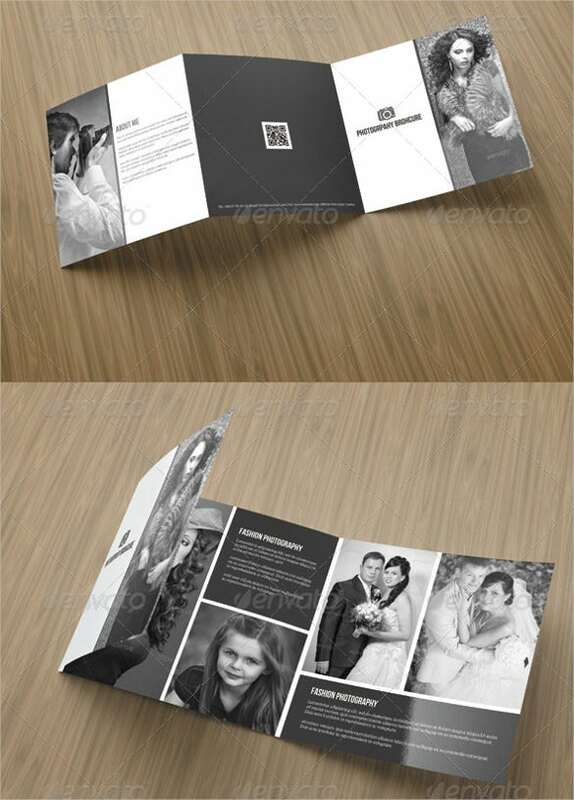 You can see also wedding brochure templates. 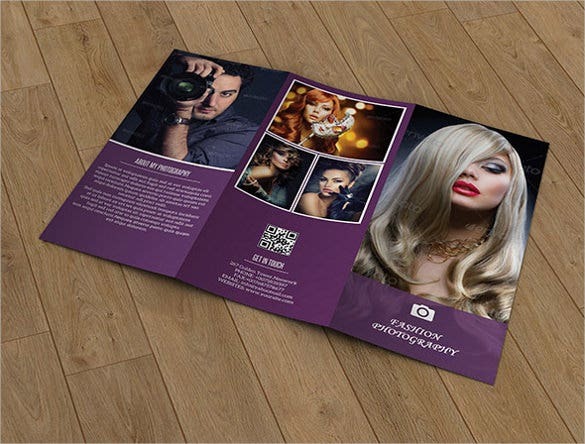 There is no tool quite like a photography brochure to help you market and position your works in the broader space. 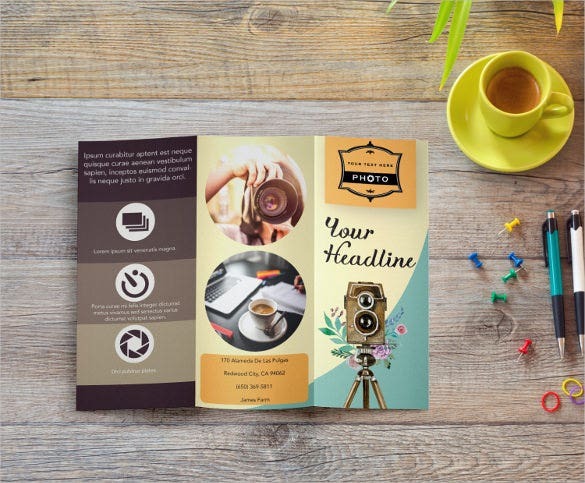 As much as well aware you may be of this fact, you may be falling short of making a brochure because of all the energy and effort required. 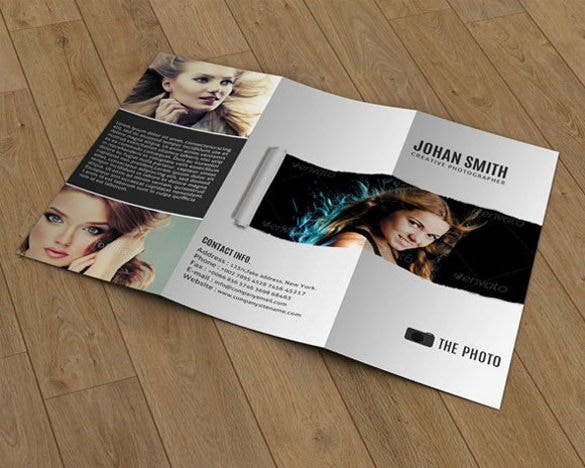 However, photography brochure templates are your best bet because they are readymade – complete with attractive designs, layouts and other functionalities. 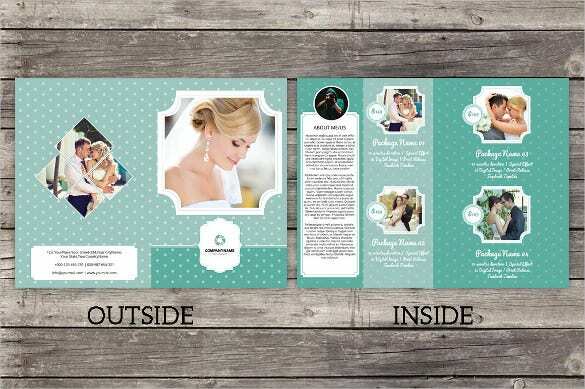 All of the templates are customizable, printable, editable and free to download. 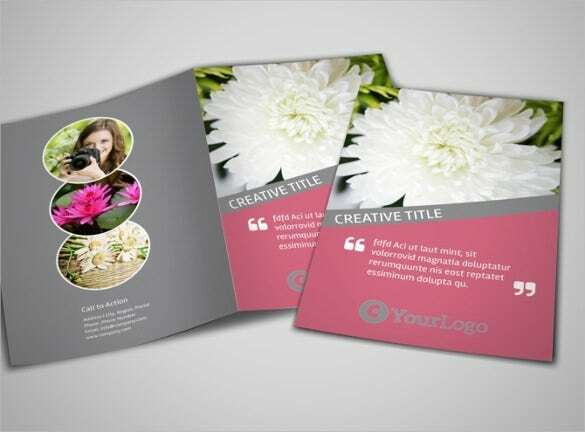 All of these attributes given you choice and freedom to set your brochure the way you wish, with materials of your choice. 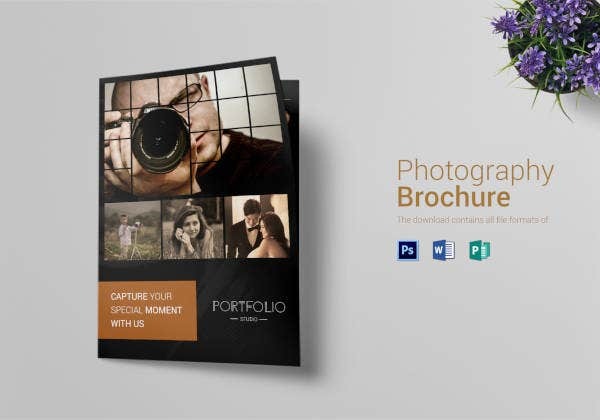 Having a photography brochure template not only saves time, but lets you invest that same time in other crucial things when it comes to prepping your photography brochure. 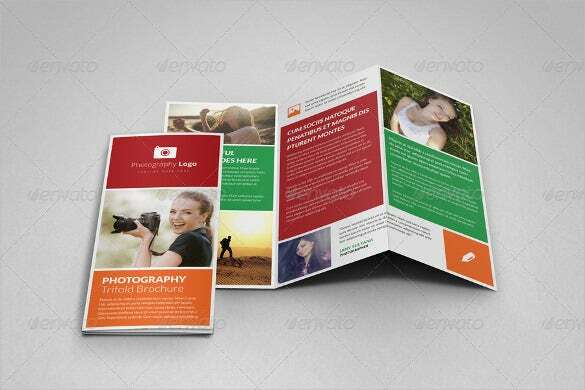 You can easily create a photography brochure template of your own. You just need to know the simple tricks and tools used for getting it done. 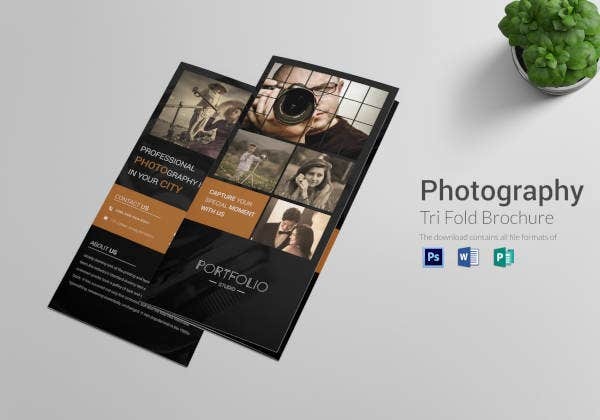 Step 1: Create a new image in Photoshop setting the dimensions as 2100×1050. 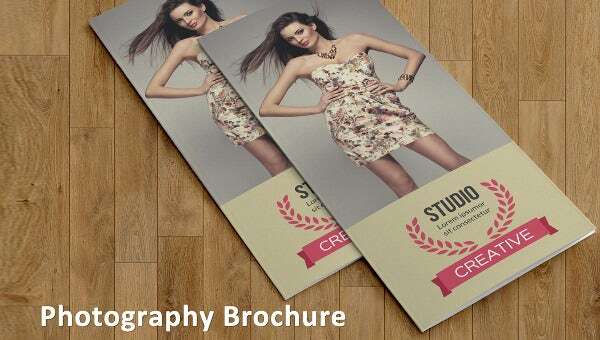 In order keep things simple, follow the textbook rule which is that it’s always ideal to start out with a large image if you’re designing for print except you’re working with vector images. Step 2: It’s time to pick the color scheme of your template. This is an example: Select a bright yellow for the foreground color, set red as the background color. Step 3: In the toolbar follow: Filter > Render > Clouds. 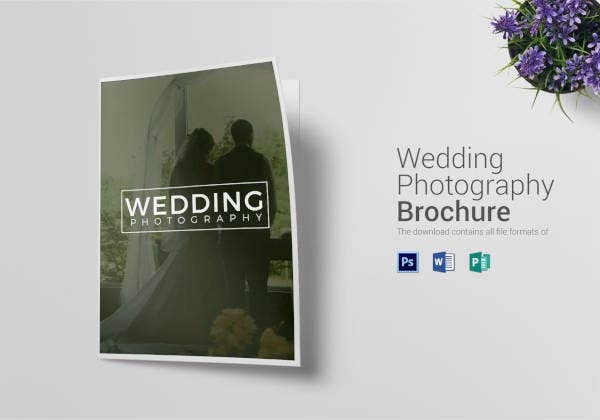 Step 4: You now have an excellent background for your photography brochure. 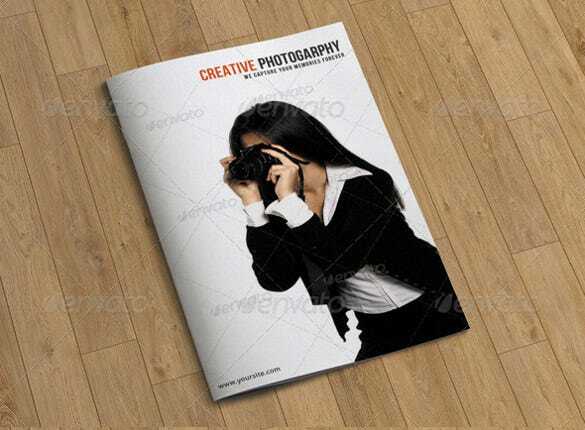 Add the title of your photography to the brochure. 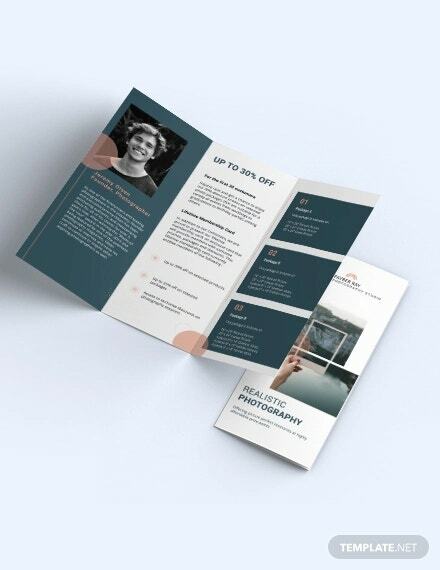 In this example: The Large Impact font with a white foreground looks blend well with this background, but obviously you could always choose to get more creative and experiment with several fonts until you get the one you desire for the brochure. Step 5: After the color scheme is set, it’s now time to spruce up the template further because the brochure looks is without any interesting imagery at this point. To rectify that, all you need are a few or more of strategically placed inanimate objects. 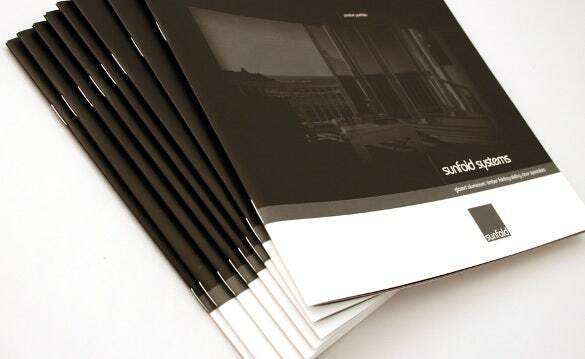 You choose objects which reflect your photographic specialty. You can select and download images of your choosing from any website offering free high-res images. 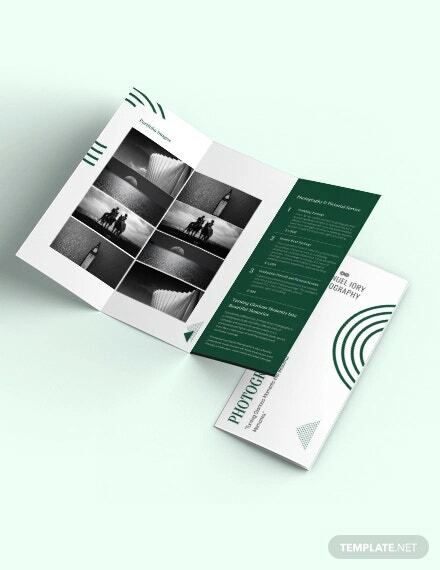 Step 6: You have got the principle design for your photography brochure template ready! Don’t forget to save the file after completing each of the above steps. 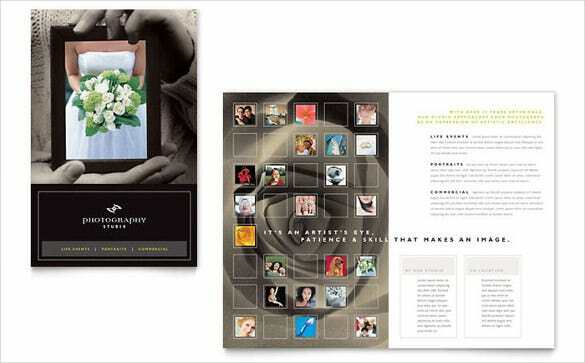 Beautify the template more by picking a suitable theme design for the same. 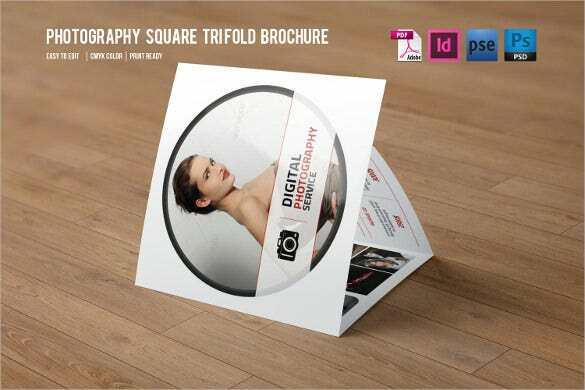 Save the final output in .PSD and .JPEG formats. 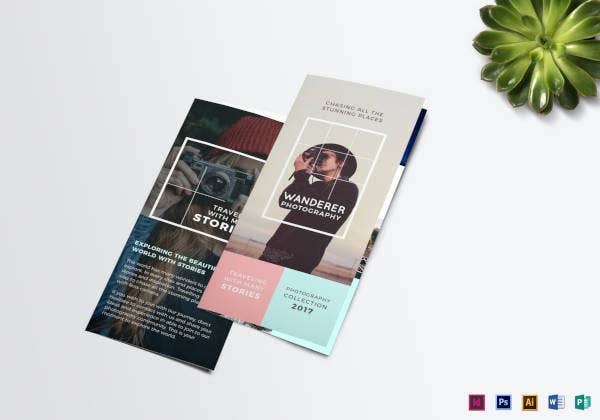 Before starting out on designing a brochure template on your own, make sure that you look up tutorials to learn and know more about the more complex steps involving in its making. 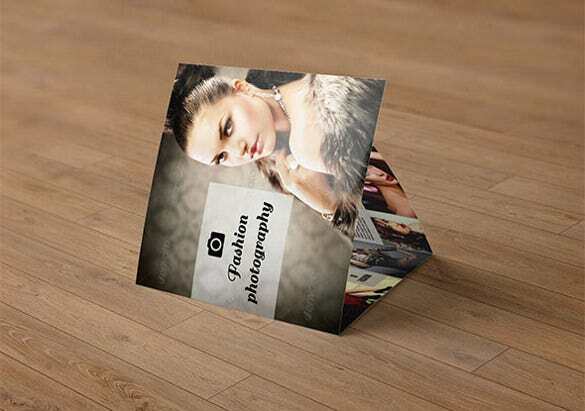 Ideally you would also want to do a bit of good reading and research on the latest photography template designs which are popular on the Web these days. Acquaint yourself with the instructional terminology used in design first, so that you’re not at loss when it comes to doing the real thing on your own.